Earn your stripes and wear them too when you add the Layered Black and White Striped Steampunk Skirt to your alternative fashion wardrobe! This high waisted skirt has adjustable drawstrings on its front for a dramatic high low look. Three tiers of black and white striped cotton fabric make up its structure, their edges trimmed with solid black ruffles. A hidden zipper on the side makes this Neo Victorian skirt easy to take on and off, and lacing on the back brings a touch of romance and a variable fit to its form. 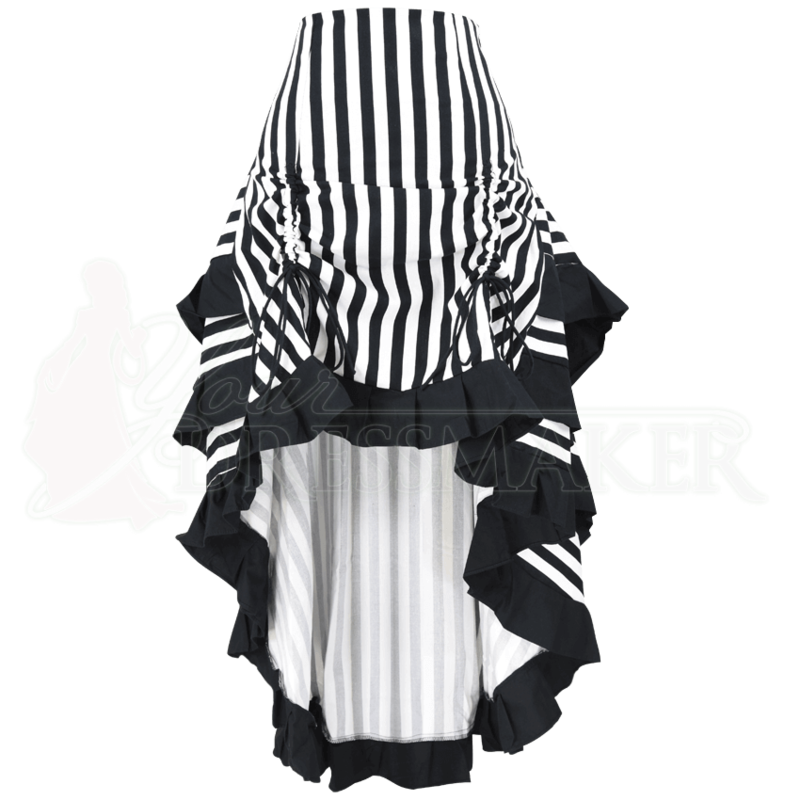 For edgy steampunk vibes, dramatic gothic outfits, or female pirate looks with an extra dose of decadence, choose this striped high waisted skirt!